The star of the hit CBeebies animated series and popular book series from Genevieve Webster and Michael De Souza will now star in curated shows within the visitor and retail sector. The mouse will appear in Da Big Carnival, a new 60-minute audio adventure exclusive to Audible. 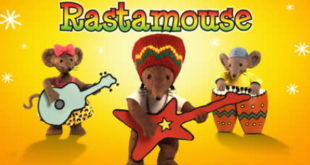 The deal sees the re-launch of the first Rastamouse album in spring 2016 and a second album of original songs to be released during summer 2016. New series of twenty-six episodes to debut next week. 800 hours of titles including Rastamouse will be a part of firm's North American service.